I serve pasta for dinner at least once a week- it's fast, it's easy, and the kids love it. But it also gets a little boring week after week. Unless you mix it up a bit- and bake some homemade bread to go with the meal! 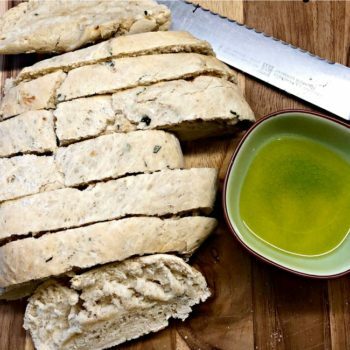 And this homemade focaccia bread recipe is one of our favorite family side dishes! When the kids are eating breakfast I chop and then saute the garlic and shallots. I also chop the herbs. After I put the kids on the bus, I mix the dough in my mixer and set it aside to rise. When I take a break to grab lunch, I portion out the dough and shape it into round loaves, and allow it to rise again. Keep in mind that the dough does not require these long rise-times. You can actually prepare this focaccia bread recipe in about 90 minutes if you just want to do it all at once. 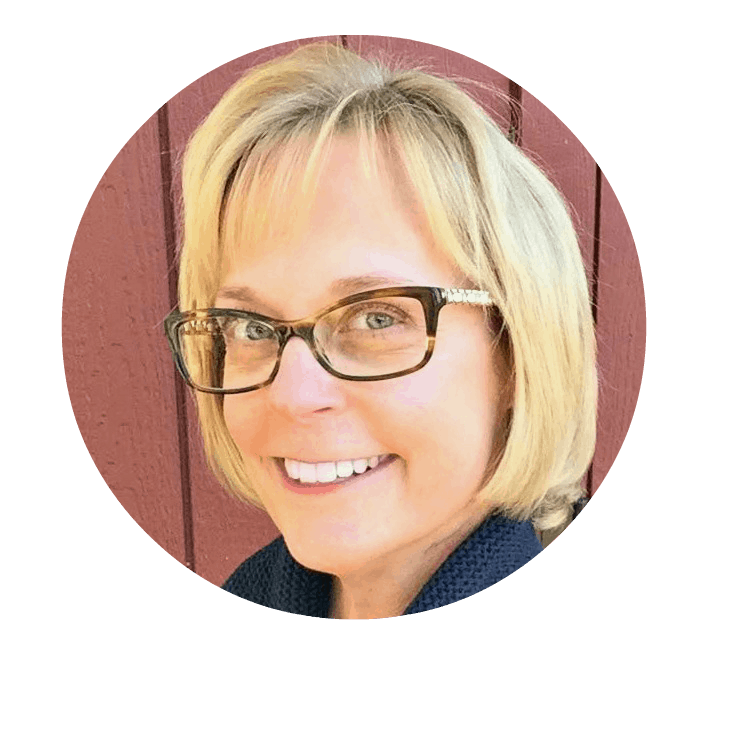 I just like to show you how you can make homemade bread on a busy Mom's schedule! I serve pasta for dinner at least once a week- it's fast, it's easy, and the kids love it. But it also gets a little boring week after week. Unless you mix it up a bit- and bake some homemade bread to go with the meal! 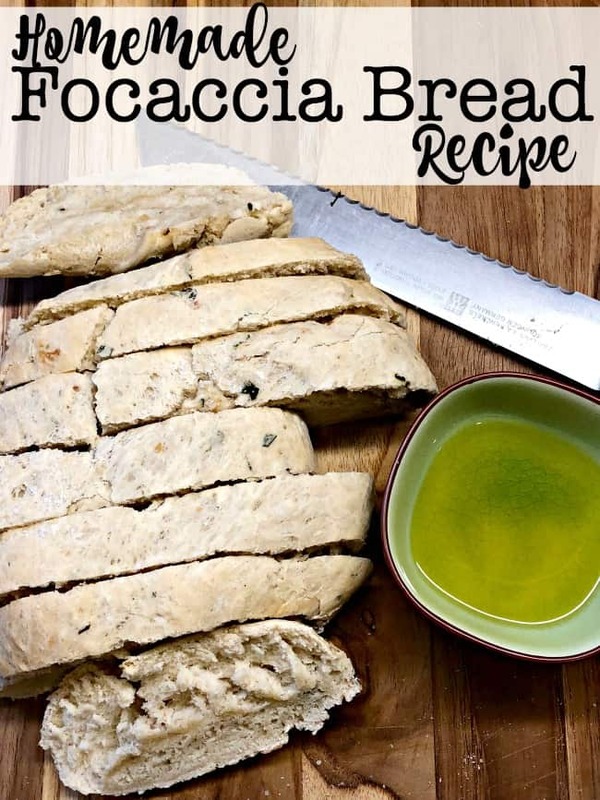 And this homemade focaccia bread recipe is one of our family favorites! Saute the chopped garlic and shallots in a bit of olive oil until softened and golden brown. Remove from heat and add in the chopped rosemary, basil, and parsley. Set aside to cool. Dissolve the yeast into the warm water and ½ cup olive oil in the bowl of an electric mixer fitted with the paddle attachment until frothy- about 5 minutes. In a separate bowl, combine the salt with the bread flour and mix well. Add the flour and salt mixture into the yeast mixture gradually until it is all incorporated. Switch to a dough hook and knead until the dough comes together in a ball in the bowl. 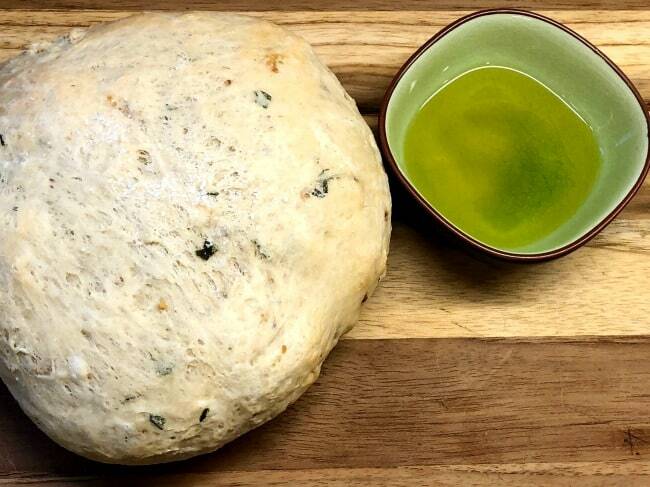 Place the dough in an oiled bowl, and cover with plastic wrap and a kitchen towel. Allow to rise for 30 minutes or until it has doubled in size. Portion dough into two pieces, and shape into a disc about ½" thick. Allow to rise again for 15 minutes. Bake at 350° for 15 minutes until the top of the loaf is golden brown and it sounds hollow when taped uppon.